Ants in the genus Nylanderia (Formicinae) are relatively small, pale yellow to almost black, and can be distinguished from other Formicinae in our region by the coarse, long, dark setae (macrochaetae), which are arranged in distinct pairs on the dorsum of the head and alitrunk. Nylanderia fulva (Mayr) (Formicinae), the Tawny crazy ant, is a small, reddish brown species native to South America. This species forms huge super colonies and is a serious nuisance pest. It is apparently attracted to electricity and is known to cause disruption in electrical systems. History in the US: The name of this species has been a constant source of confusion since large populations started showing up in Florida in the 1990's (Klotz et al. 1995). Florida specimens were identified as N. pubens based on earlier records of N. pubens reported from Florida 60+ years earlier (Trager, 1984). It is likely that N. pubens was present in Florida historically, but that subsequently N. fulva was introduced and became the dominant species. If so, this would explain why N. pubens has not been commonly found in Florida in recent years. In the US, Nylanderia pubens is likely restricted to southern FL. In the US, Nylanderia pubens sensu stricta is likely restricted to southern Florida. 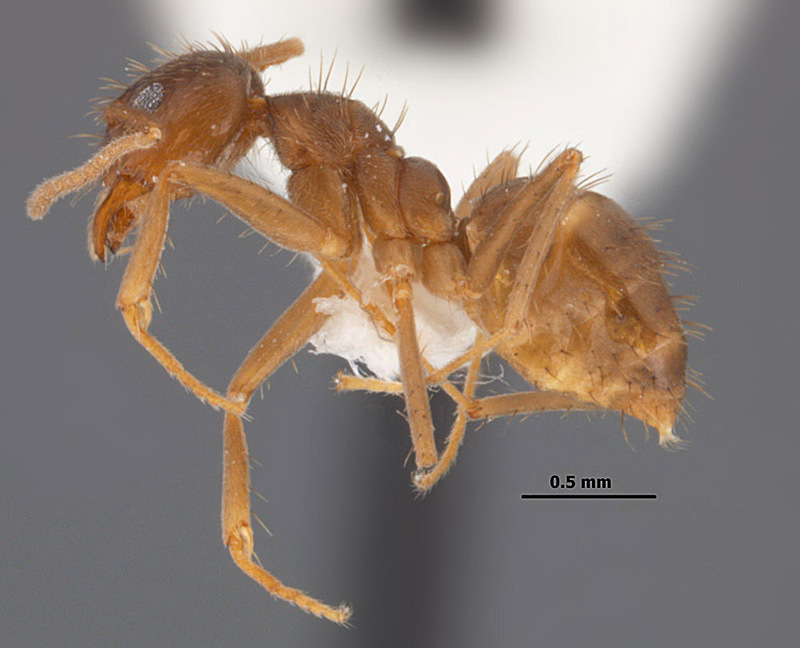 When this ant was found in large numbers in Texas in 2002 (Meyer, 2008), researchers were hesitant to identify it as N. pubens or N. fulva, because of some minor differences in size. Until the identity could be confirmed, specimens from Texas were called Nylanderia species near pubens. Researchers at Texas A&M University did morphometric and DNA studies to help determine its identity, but results were inconclusive. In Trager's revision of Nylanderia for the continental United States (Trager, 1984), he mentioned records of N. pubens from Brownsville, TX collected in 1938, but remarked that is was incorrectly identified and was really N. fulva, a South American species. In fact, collections of N. fulva are also known from Chicago, IL from as early as 1931 (MEM collection records), but these records were based on indoor populations and likely no longer occur there. I also know of early records from Washington, D.C. These two species are both in the same group (N. fulva group) and are similar enough that Creighton (1950) synonymized them. Likewise, as recently as 2007, N. pubens was considered a synonym of N. fulva (Bolton et al. 2007). 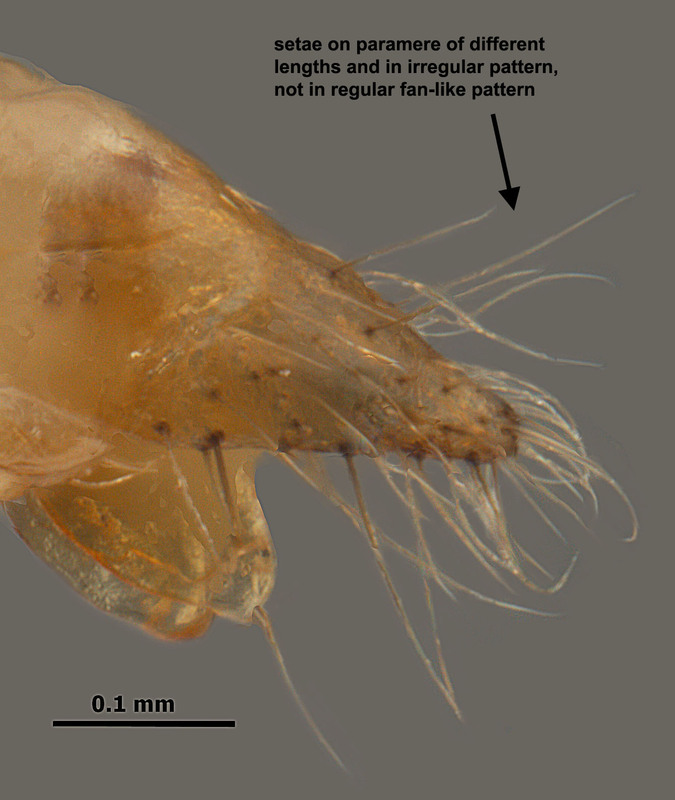 In Trager's revision (1984), he noted that the parameres of the male genitalia of N. pubens was bordered by a dense fringe of at least 30 blondish macrochaetae (see photo above); whereas, he stated that the paramere of N. fulva had "sparse pilosity of uneven length and orientation (see photo above) which in no way resembles the characteristic fringe of N. pubens." I borrowed specimens from Texas, Louisiana, and Florida, and examined them, along with specimens that I collected in Mississippi. I found that the macrochaetae on the male parameres closely matched Trager's description of N. fulva, rather than N. pubens, which meant, according to Trager 's concept of these species, that the species causing problems from Florida to Texas was actually N. fulva. Other evidence pointed to the conclusion that specimens found throughout the southern US were all the same species. However, with the names N. pubens being in common usage, I was reluctant to use the name N. fulva without definitive proof or DNA corroboration. With this ambiguity and the need for a defininte name, it was not long before corroboration was made. A molecular study by Zhao et al. (2012) demonstrated that specimens from Florida and Texas were a single species. Then, also using molecular data, Gotzek et al. (2012) determined that this species now common along the Gulf Coast region was, in fact, Nylanderia fulva. 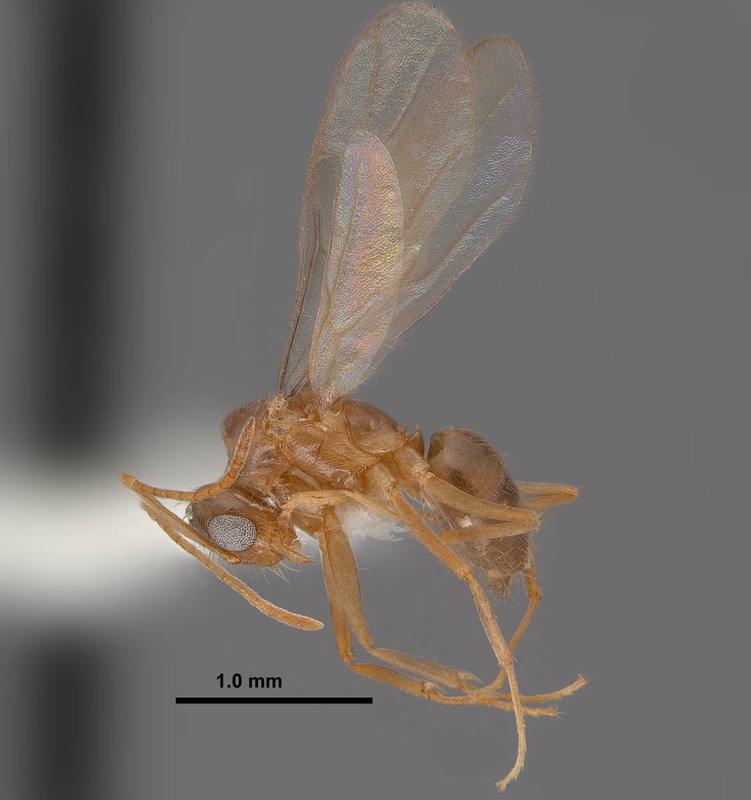 So, finally, problem solved–our common crazy ant in the Southeast is Nylanderia fulva. 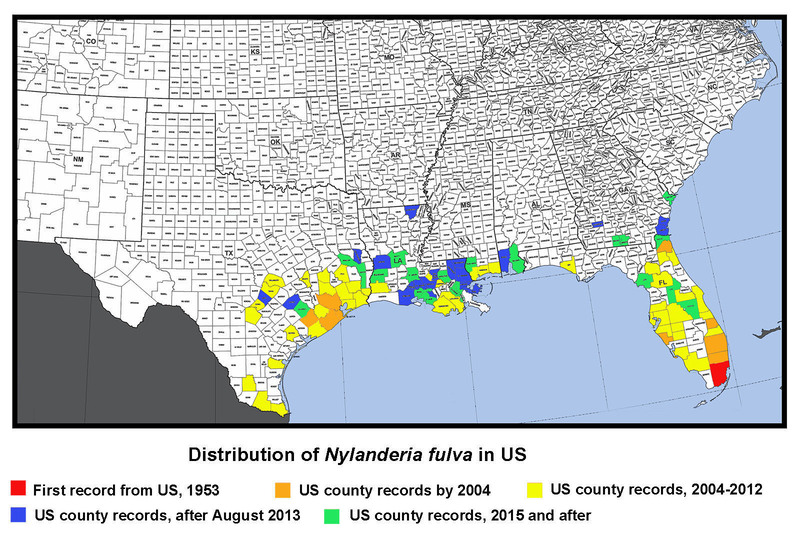 History of Occurrence in MS: We first noted N. fulva in Mississippi in early fall of 2009. Dr. Blake Layton (MSU extension entomologist) and I visited an infested site in Hancock County after we received samples from the site that I confirmed as crazy ants. We were amazed by the incredible numbers of ants present at the site (which was roughly a square mile). The homeowners had tried repeated applications of various pesticides with no visible results. In addition to the obvious nuisance quality they presented, the ants also caused physical damage to a camper in which their colonies had forced the outer metal wall to bulge outward, to insulation of which the ants chewed through leaving powder behind, and some electrical boxes, which were shorted out. The winter of 2009-2010 proved to be quite cold on the Mississippi coast and several sub-freezing nights negatively impacted plants (such as palms). We were curious if the cold weather also affected the crazy ant populations, so Dr. Layton and I made a return trip to the site in March of 2010. The ants were not as obvious and abundant as during our previous trip, which was heartening. However, we found colonies of the ants under bark of pine stumps and in rotting pine logs, where they had apparently overwintered. High abundance of this species was again observed at this locality during a trip back to the area in June, 2011. In addition to the populations in Hancock County, we found this species at multiple localities in southern Jackson County in late 2010. We made a visit to that area in June 2011 and found abundance to be at a high levels. Through communication with extension agents and PCO's in the region during subsequent years, we have observed that localized populations have continued to grow and isolated new populations are popping up here and there. Currently, this species is found in all three of our coastal counties: Hancock, Harrison, and Jackson. We have noted that from year to year, existing populations along our Gulf Coast region are increasing in size, but that populations are localized, rather than widespread in the area. About the Common Name: The common name of N. fulva is the "tawny crazy ant", although it has also been called the hairy crazy ant, Caribbean crazy ant in Florida and the Caribbean region and in TX it has been called the "Rasberry crazy ant", named after Tom Rasberry, the pest control operator who "first" discovered them in that state. I put first in quotes, between, obviously, this species was already known from Texas from specimens collected in 1938 in Brownsville. However, Mr. Rasberry was instrumental in making the public and national media aware of the invasive nature of this ant (albeit, he was calling it the wrong name). These other common names are actually for the species N. pubens, not N. fulva. 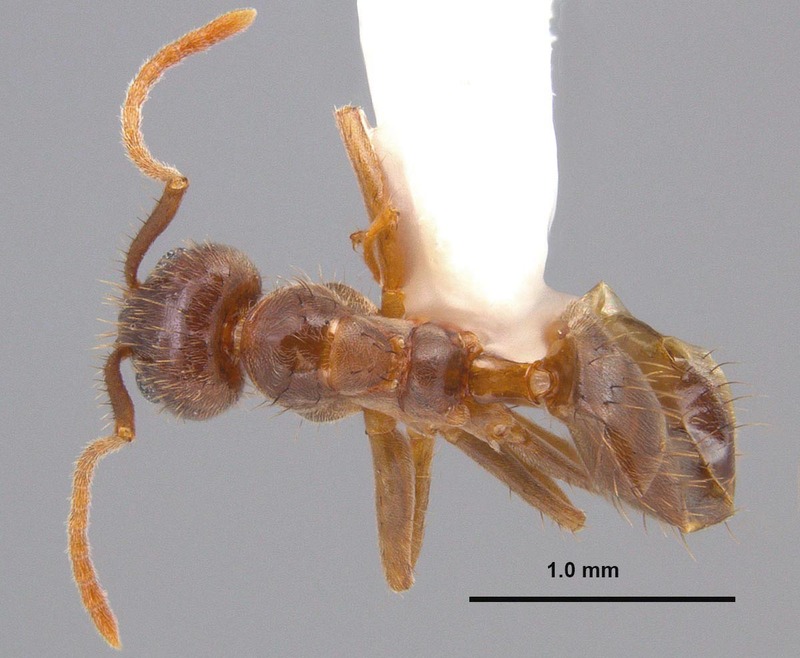 Thus, the new common name of "tawny crazy ant" was adopted for N. fulva to avoid confusion. Prenolepis (Nylanderia) fulva Mayr (1862); Combination in Nylanderia (Nylanderia), Forel (1908); in Paratrechina (Nylanderia), Emery (1925); in Nylanderia, Kempf (1972); in Paratrechina, Snelling & Hunt (1975); in Nylanderia, LaPolla, Brady & Shattuck, (2010). Senior synonym of Nylanderia fumata Wild (2007). Worker: Small (TL ≈ 2.0-2.5 mm, HL 0.75–0.80 mm, HW 0.61–0.70 mm, SL 0.87–0.94 mm, EL 0.20–0.21 mm, MeSL 0.93–1.02mm) (n=5) (MEM specimens). Orangish brown to reddish brown. 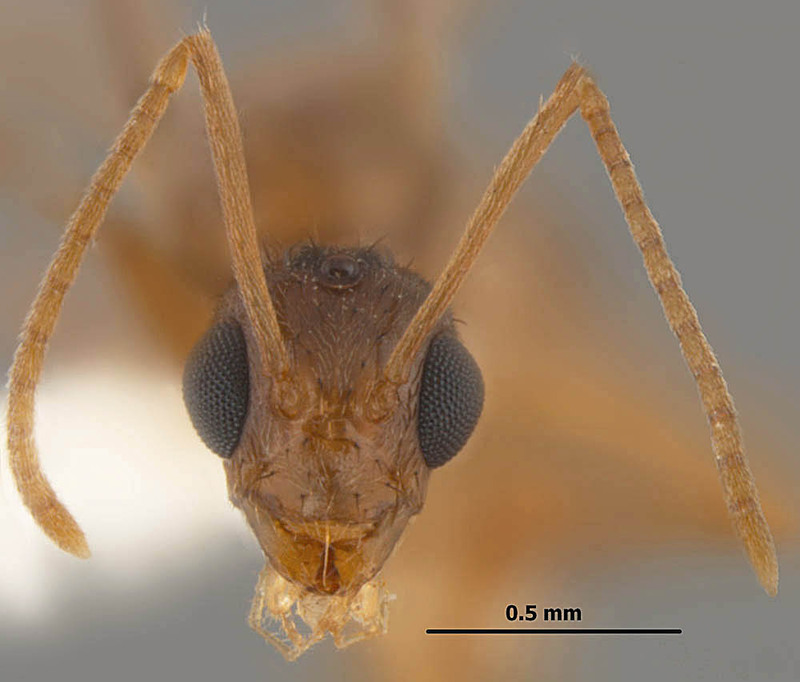 Head longer than wider, rounded rectangular, widest at midpoint; somewhat shiny with numerous appressed short setae and long, thick erect macrochaetae; eyes large, about 1/4 of the length of the head, located about midway between posterior and anterior edges of head; ocelli lacking; mandibles with 6 distinct teeth; antennae 12-segmented, unclubbed; scapes long, with numerous, erect, stout, black, setae present. Mesosoma with promesonotum distinctly set off from propodeum with deep metanotal groove, with a dome shaped gland on either side on the midline of groove; entire mesosoma with dense, short, appressed setae; promesonotal dorsum with several long, flexuous, erect macrochaetae; propodeum lacking spines, but with a flange-like protrusion where a spine would be. Waist is single-segmented, petiolar node erect, tapering apically to a point, shiny. Gaster ofter overhangs petiolar node; overall shiny, with dense appressed setae that do not dull appearance; numerous long, flexuous, erect setae; acidopore present at the apex. Queen: Larger than workers (TL ≈ 4.0 mm, HL 0.95–0.96 mm, HW 0.96–0.98 mm, SL 1.03–1.04 mm, EL 0.35–0.37 mm, MeSL 1.64–1.65 mm) (n=2) (MEM specimens). Head and body brown to reddish brown, antennae and legs often lifer orangish brown. Head about as wide as long, widest posteriorly; posterior border straight; entire with dense, appressed, short setae, with scattered longer, erect setae; eyes large, about 1/3 the length of the head, located laterally along the midline; three ocelli present; mandibles with 6 distinct teeth; antennae 12-segmented, lacking a club, scapes long, lacking stout, erect setae. Mesosoma enlarged and with four wings or wing scars; dorsum flattened; entire mesosoma with dense, appressed, short pubescence; numerous, erect erect setae present dorsally; propodeum unarmed. Waist single-segmented, petiolar node mostly shiny. Gaster overhangs petiolar node; with dense, appressed, short pubescence, and numerous longer erect setae; acidopore present at the apex. Male: Small, about the same size as workers (TL ≈ 2.4–2.7 mm, HL 0.60–0.66 mm, HW 0.50–0.54 mm, SL 0.77–0.80 mm, EL 0.27–0.30 mm, MeSL 1.02–1.08 mm). (n=5) (MEM specimens). Orangish brown to reddish-brown. Head slightly longer than wide, somewhat circular; with numerous appressed, setae curving toward midline; several erect, stout, black macrochaetae present, especially posteriorly; eyes very large, about ½ the length of head, located on lower portion of head; three large ocelli present; mandibles with a slight notch at the apex forming one tooth followed by a long edentate section; antennae 13-segmented, lacking a club, scapes very long. Mesosoma slightly convex in lateral view; pronotum trapezoidal, slightly convex anteriorly; mesoscutum rounded anteriorly; propodeum angled about 45°; entire mesosoma with dense, short pubescence and scattered erect macrochaetae dorsally. Wings transparent yellow gray; forewing with closed costal, basal, subbasal, marginal and submarginal cells; pterostigma present hindwing with closed basal cell. Waist single-segmented, petiolar node thickened basally, rounded triangular, shiny. Gaster overhangs petiolar node; entire gaster with dense, short, appressed pubescence and numerous longer, erect setae; genitalia external with well-developed triangular parameres; parameres with elongate, flexuous setae of uneven lengths and orientation. Diagnosis:Workers of Nylanderia fulva can be recognized by their small size, reddish brown color; shiny integument with dense, fine pubescence and long, flexuous macrochaetae on head, promesonotum and gaster; 12-segmented antennae with long scapes; single petiolar node; and an acidopore at the gastral apex. 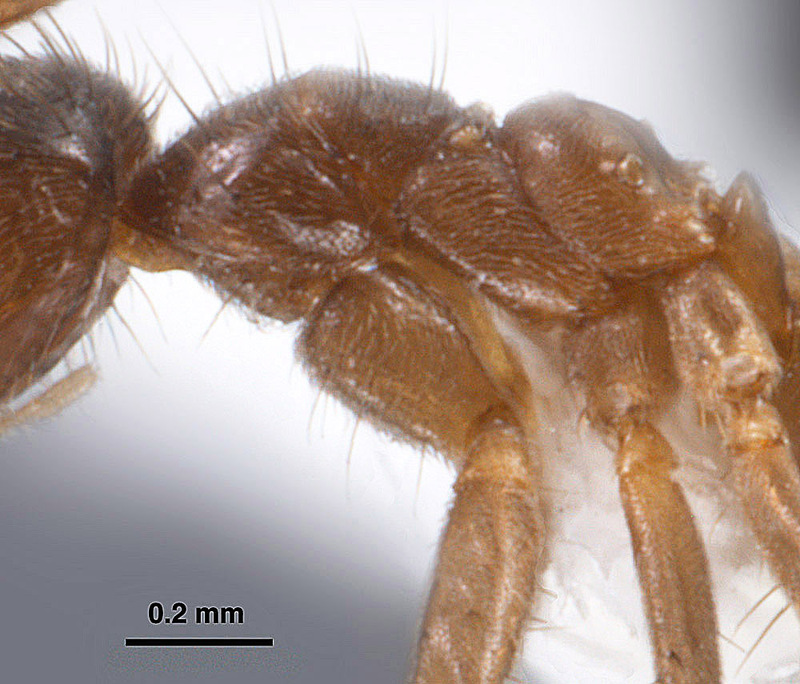 Workers of N. fulva are very difficult to distinguish from the related N. pubens, and for accurate differentiation between these two species, males are needed. 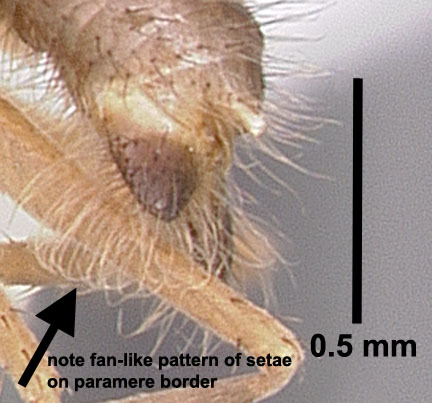 Males of N. fulva have elongate, flexuous setae of uneven lengths and orientation on the borders of the parameres of the genitalia; whereas, in N. pubens, the pilosity on the parameres is arranged in a definite fan-like pattern. Additionally, N. pubens is only known from southern Florida, and has not been reported in recent years. Only two other species of Nylanderia in the southern United States have dense pubescence on the mesosoma: N. bourbonica (Forel) and N. guatemalensis (Forel). 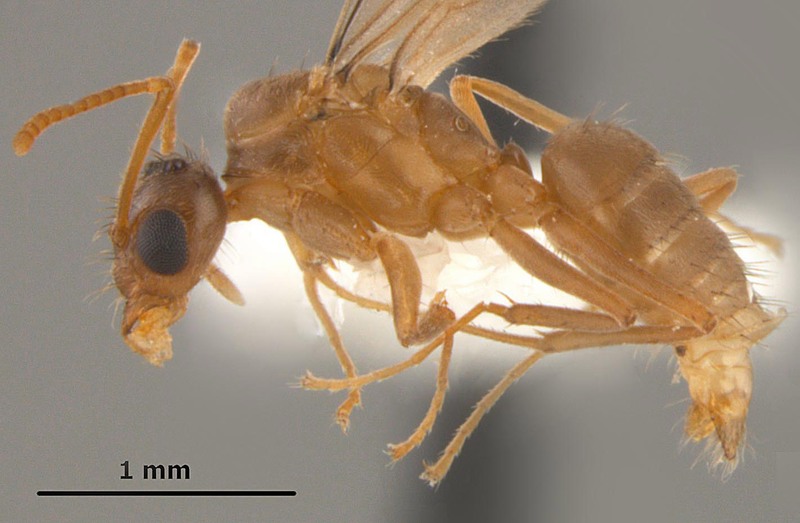 Workers of N. bourbonica are larger, concolorous dark brown, and have ocelli, and workers of N. guatemalensis are yellowish-brown and have a glabrous pronotal disk, with the sides of pronotum usually glabrous as well. 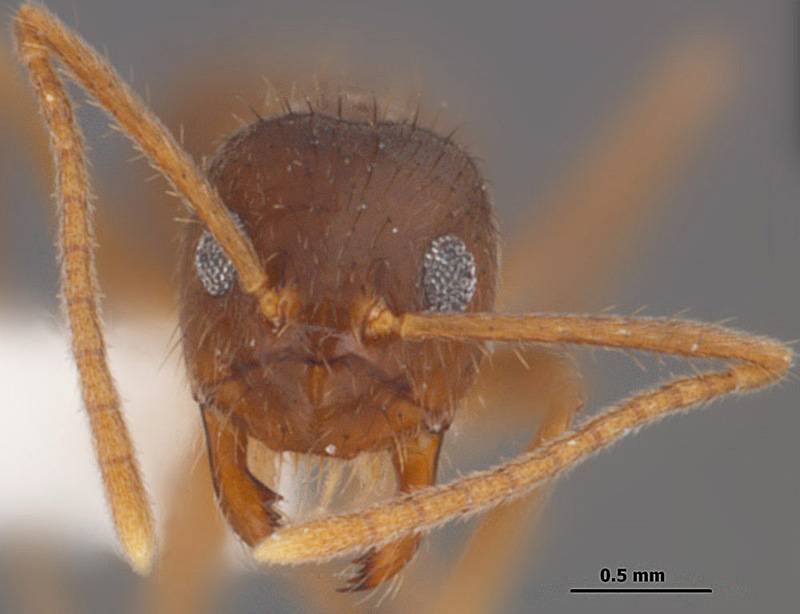 The long-legged crazy ant (Paratrechina longicornis (Latreille), another related super colonial species, and can be distinguished from Tawny crazy ants by its brown color, long slender body, and extremely long legs and antennae. 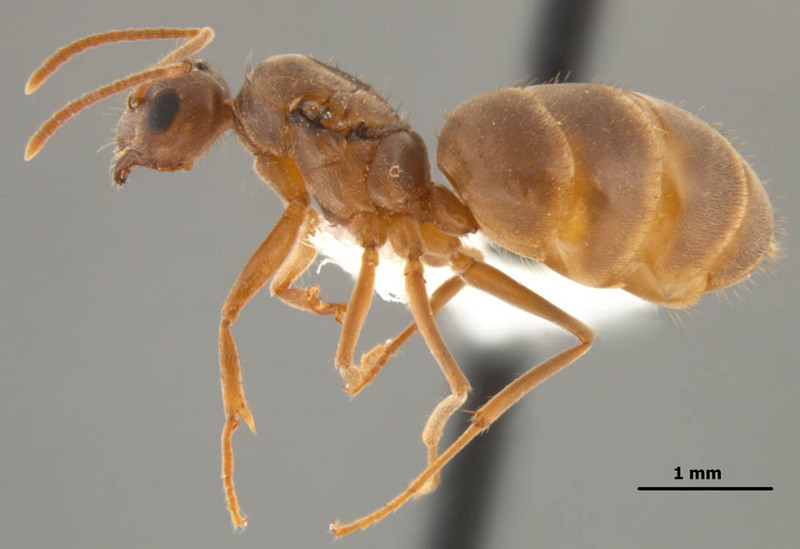 Tawny crazy ants can be recognized in the field by their extremely large populations, uniform size of workers, reddish-brown coloration, and rapid, erratic movement. Nesting Info: Individual colonies and groups of colonies are polygynous, with nests typically found in rotting wood, in soil, in and under various types of debris and landscape objects, under mulch, under bark, in potted plants, in vehicles, and in structures. Colonies are less active during cool months; however, populations build rapidly in the spring and increase in size throughout the summer and fall. Based on random searches of various beach sites along the Mississippi coastline and on West Ship Island, we have found that this species does not appear to prefer beach-like habitat. Its need for cover and large quantities of food may be the reason for this. Food Resources: Tawny crazy ant workers tend various sucking hemipterous insects (aphids, mealybugs, scale insects, treehoppers, whiteflies, etc.) for honeydew (a sugary liquid extracted from plant hosts), which is excreted from the plant hosts. They are also attracted to plant nectaries, damaged or overripe fruit, and other sweet food sources. They supplement their diets with arthropods and small vertebrates for protein (Drees 2009, MacGown and Layton 2010, Meyers 2008a). We have observed this species tending Membracidae in Hancock County, MS (see photo above). 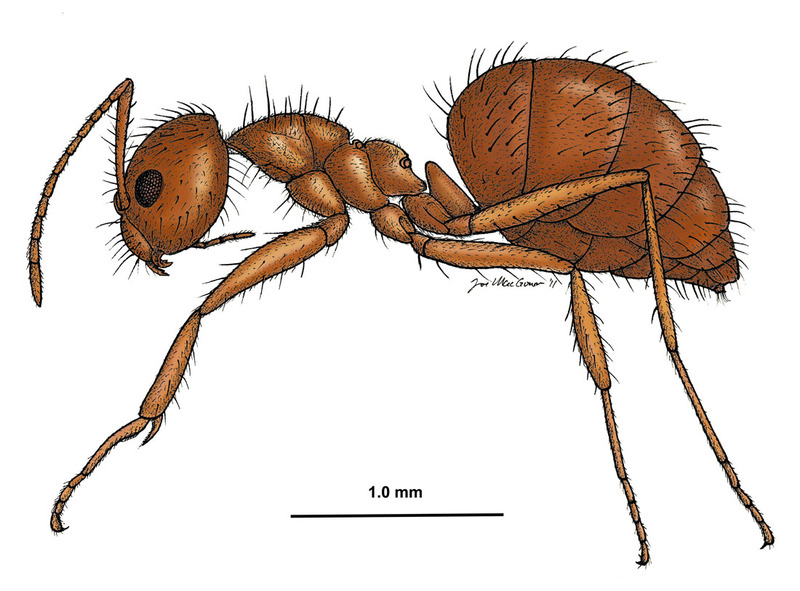 General Nuisance Pest: In the U.S., the Tawny crazy ant has become a serious nuisance species. Incredibly large populations have proven difficult to control with conventional baits (Warner and Scheffrahn 2004). Since its initial detection in Texas in 2002, it has caused serious economic and ecological damage in southern Texas (Meyers 2008b), as well as in some areas in the Southeast. High densities of foraging workers in affected areas make day-to-day activities uncomfortable, if not impractical. This species does not sting, but is capable of inflicting a bite and spraying small quantities of formic acid, which may irritate some individuals. Effects on Plants and Animals: Tawny crazy ants may reduce biodiversity of other animals, both invertebrate and vertebrate. LeBrun et al. (2013) reported that tree-nesting birds and other small animals have been forced to move out of areas inhabited by large populations of crazy ants. Wetterer and Keularts (2008) reported that large numbers of N. pubens workers caused deaths of caged rabbits in St. Croix. In Colombia, N. fulva is considered a serious pest that has displaced native fauna; caused chickens to die of asphyxia; attacked larger animals, such as cattle, around the eyes, nasal fossae and hooves; and caused grassland habitats to dry out as a result of elevated hemipteran levels on plants (Arcila et al. 2002, Meyers 2009; and personal comm. Paul Nestor, Texas A&M). 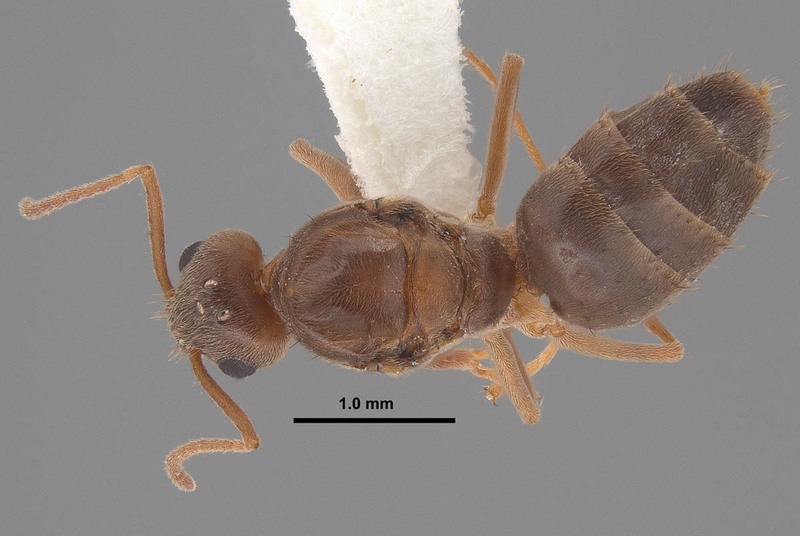 Another exotic ant species, Pheidole obscurithorax Naves, from South America, which has much lower population levels than the tawny crazy ant, has been documented to attack hatchling chickens in Mississippi (Hill 2006). Large levels of the tawny crazy ant could be detrimental to the poultry industry in Mississippi if left unchecked. At high densities, this species shows potential to be an important agricultural pest due to its enhancement of phloem-feeding hemipterous insects that it tends (Wetterer and Keularts 2008). This species has been blamed for crop damages due to high numbers of plant feeding Hemiptera in St. Croix (Pagad 2011). Effects on tree health from increased levels of sap-feeding hemipterans tended by ants remains largely unstudied in this species. High densities of scale insects tended by the related yellow crazy ant, Anoplolepis gracilipes (Smith), have been reported to weaken trees and cause canopy dieback and/or death of trees from a sooty mold in the honeydew produced by the scale insects (Matthews 2004). Tawny crazy ants have been reported to destroy honey bee hives in Texas by consuming brood, and then colonizing the hive (Drees, 2009, Harmon 2009). Their presence in various materials being transported (i.e. hay, mulch, potted plants, etc.) may reduce value of goods (Drees 2009). 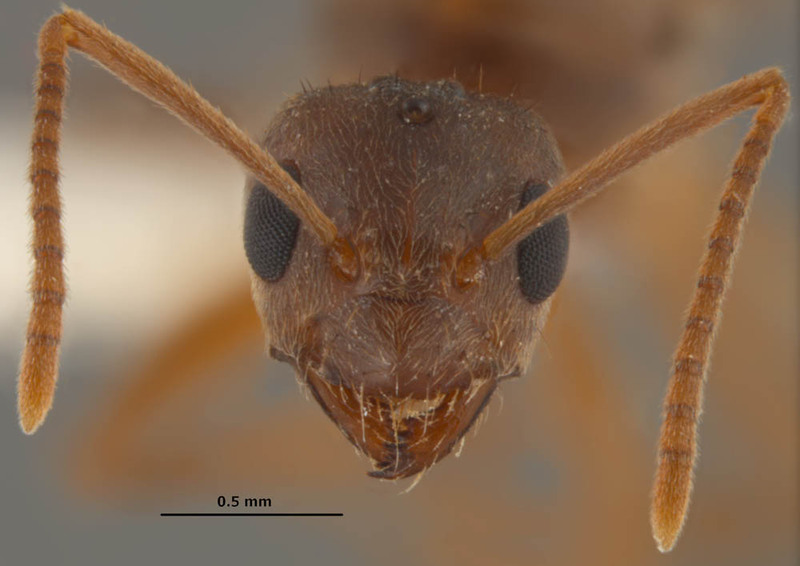 Electrical Problems due to Crazy Ants: It is unclear whether Tawny crazy ants are attracted to electricity or if they are simply utilizing spaces associated with electrical equipment as nesting areas. Regardless, this species is often associated with electrical short circuits, which could potentially be dangerous in the right situation, and expensive in any situation. Large accumulations of tawny crazy ants have been reported to cause short circuits and to clog switching mechanisms, which has resulted in electrical shortages in a wide variety of equipment such as breaker boxes, electrical outlets, phone lines, air conditioning units, chemical-pipe valves, computers, security systems, cars, sewage lift pump stations, electrical systems in automotive vehicles, and numerous other (Drees 2009, Pagad 2011, Meyers 2008b). This species, once established, is difficult to control. 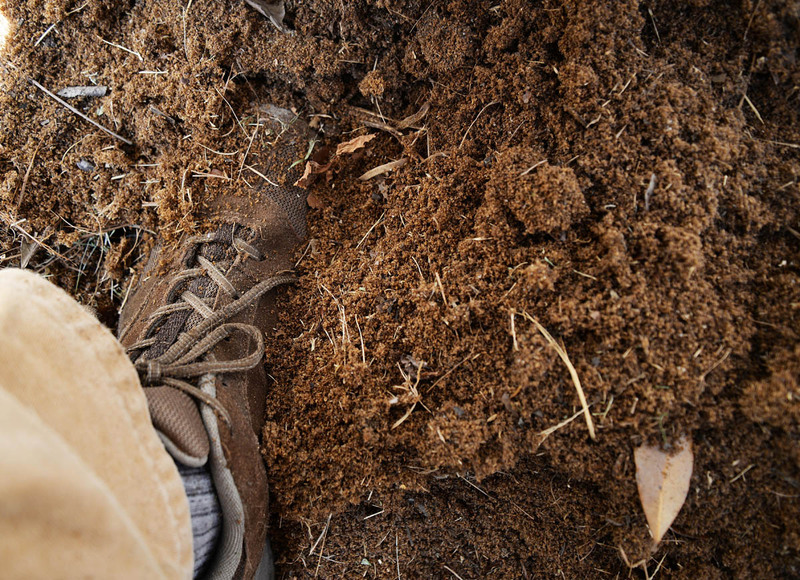 The first step to effective control is keeping the landscape as free from debris as possible. 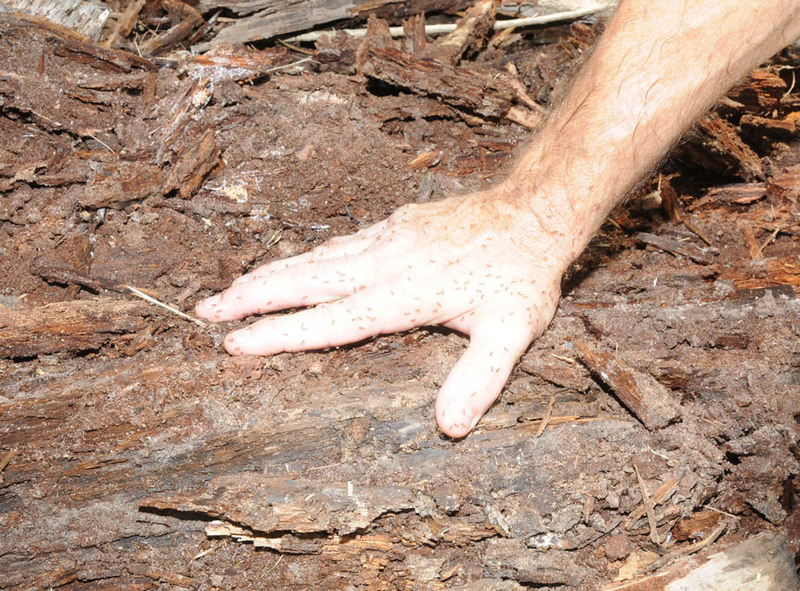 Tawny crazy ants nests under rocks, fallen limbs, leaf litter, mulch, firewood, in piles of bricks, under pieces of wood, and in numerous other types of debris, as well in wall and other voids, including in homes and vehicles. It is not alway feasible to remove everything in a landscape, but some success can be achieved near a home. Because tawny crazy ants thrive in moist, humid environments, it is important to avoid leaky outdoor faucets, excessive irrigation, and areas of poor drainage. Due to the excessively large populations, this species is difficult, if not impossible, to control by a homeowner, and typically requires regular visits by professional exterminators. 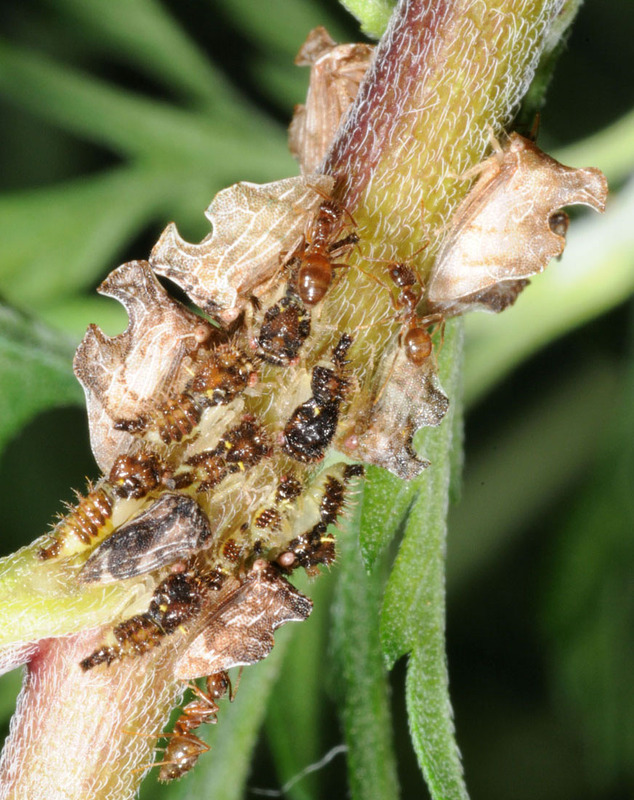 Even then, its difficult to keep this pest at bay when large populations are present. 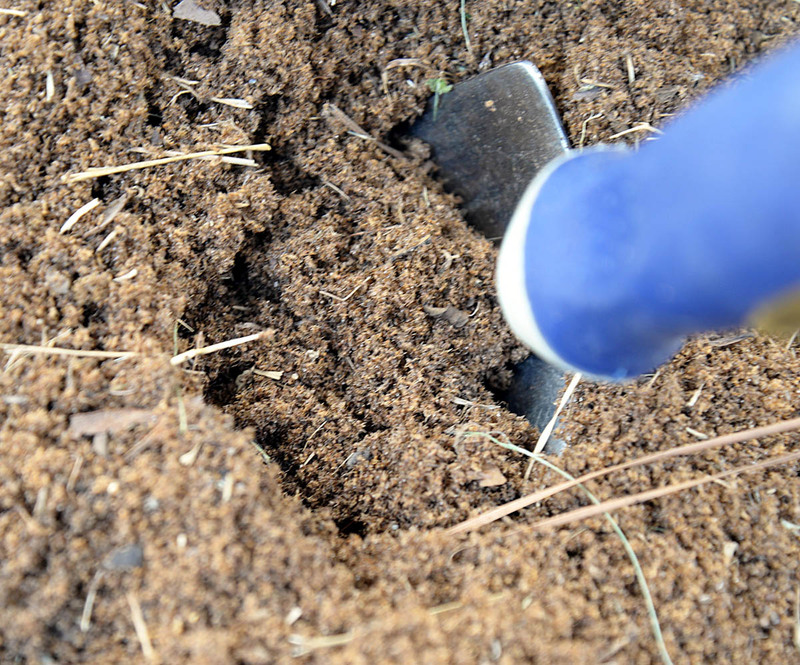 Because populations can become huge, often spreading through neighborhoods or into wooded areas surrounding homes, primary efforts should be concentrated on keeping the ants away from the home itself and from areas of high use. Ideally, in residential areas, a neighborhood approach should be used with all homeowners working together with area PCO's to control this species. However, due to pesticide restrictions, ants typically are able to reinfest an area from adjacent semi wooded to wooded areas or along wetland areas that cannot be treated with pesticides. Persistence is key. One side effect of the large numbers of ants killed by pesticide are drifts of dead ants that may accumulate next to walls. 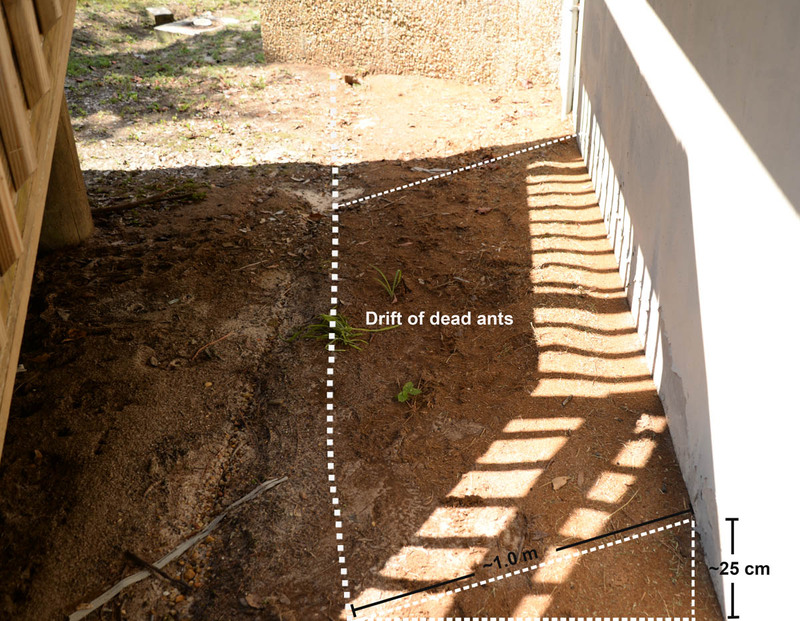 These drifts contain huge numbers of ants and may extend 0.3 ,or more in height against the wall, gradually tapering down as far as 1.0 m or more from the wall, and can be found along walls for 20 m or more depending on the situation. To put this into perspective, one could easily fill numerous trash bags full of dead ants in a matter of minutes from these drifts. When superficially observing these huge piles of ants, the first impression is that you are viewing piles of dirt. 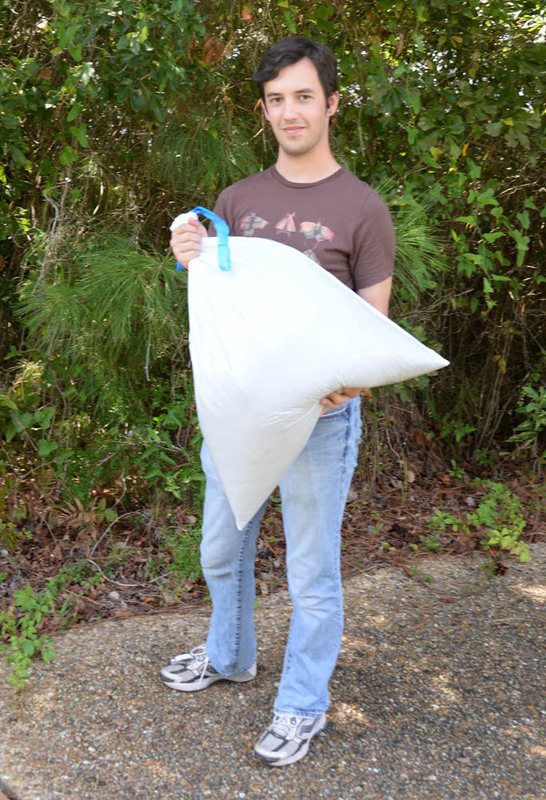 Depending on where drifts are located, homeowners or business owners regularly sweep these ants away, meaning that these drifts are recurring. And although these huge quantities of ants are obviously being killed, it can be disheartening to watch as new foraging workers simply crawl over the top of these drifts. This provides an idea of how abundant this species can be. Neotropical: Anguilla, Argentina, Bermuda, Brazil, Colombia, Cuba, Guadeloupe, Martinique, Mexico, Panama, Puerto Rico, St. Croix, St. Vincent & the Grenadines (Lesser Antilles), Virgin Islands (USA), (MacGown 2011, Trager 1984, Pagad 2011, Wetterer and Keularts 2008). Florida: Alachua, Bay, Brevard, Broward, Clay, Collier, DeSoto, Duval, Hardee, Hillsborough, Indian River, Lake, Lee, Levy, Manatee, Marion, Martin, Miami-Dade, Nassau, Orange, Osceola, Palm Beach, Pasco, Pinellas, Polk, Saint Johns, Saint Lucie, and Sarasota Counties (Calibeo and Oi 2011, Deyrup et al., 2000; Klotz et al., 1995, Warner and Scheffrahn 2010, Pers. Comm. Dawn Calibeo-University of Florida and David Oi, USDA-ARS, Gainesville, FL). Illinois: Chicago (MEM; this is a historic record based on specimens collected by M. Talbot in 1931. This was likely an isolated indoor population that is no longer present). Mississippi: Hancock, Harrison, Jackson, and Pearl River Counties (MacGown 2011 and MEM records). Georgia: Brooks, Camden, Chatham, Dougherty, Glynn, and Lowndes Counties (MEM and UGA records). Louisiana: Ascension, Beauregard, Calcasieu, East Baton Rouge, Iberia, Iberville, Lafayette, Lafourche, Livingston, Morehouse, Orleans, Plaquemines, Rapides, St. Bernard, St. Charles, St. Martin, St. Mary, St. Tammany, Terrabonne, Vernon, Vermilion, Washington, and West Baton Rouge Parishes, (Carlton 2014, Carlton and Bayless 2013, Hooper-Bui et al. 2010, Morgan 2011, Ring 2014. and Pers. Comm. David Oi, USDA-ARS, Gainesville, FL). Texas: Angelina, Bexar, Brazoria, Brazos, Cameron, Chambers, Colorado, Comal, Fayette, Fort Bend, Galveston, Hardin, Harris, Hays, Hidalgo, Jasper, Jefferson, Jim Hogg, Liberty, Matagorda, Montgomery, Nueces, Orange, Polk, San Augustine, Travis, Victoria, Walker, Wharton, and Williamson Counties (Anonymous 2014, Gold 2011, Meyers 2008a,b, Meyers 2009, and Pers. Comm. David Oi, USDA-ARS, Gainesville, FL). Thanks to Ryan Whitehouse for aid with proofreading and contributions to the identification section. Funding for the ant work being done by the MEM in Alabama and Mississippi is from several sources including the National Institute of Food and Agriculture, United States Department of Agriculture, under Project No. MIS-012040, the Mississippi Agricultural and Forestry Experiment Station at Mississippi State University, with support from State Project MIS-311080, NSF Grants BSR-9024810 and DFB-9200856, the Tombigbee National Forest (U.S. Forest Service), the Noxubee Wildlife Refuge, Mississippi Natural Heritage Program Research Grant, USDA Forest Service Agreement No. 08-99-07-CCS-010, the William H. Cross Expedition Fund, and primarily by the USDA-ARS Areawide Management of Imported Fire Ant Project (2001-2014) and USDA-ARS Areawide Management Invasive Ants Project. Additionally, special cooperation has been provided by State Parks, National Forests, National Wildlife Refuges, the Natchez Trace Parkway, and from various private landowners in both Alabama and Mississippi. Arcila, A.M., L.A. Gómez, and P. Ulloa-Chacón. 2002. Immature development and colony growth of crazy ant Paratrechina fulva under laboratory conditions (Hymenoptera: Formicidae). Sociobiology 39: 307-321. Anonymous. 2014. 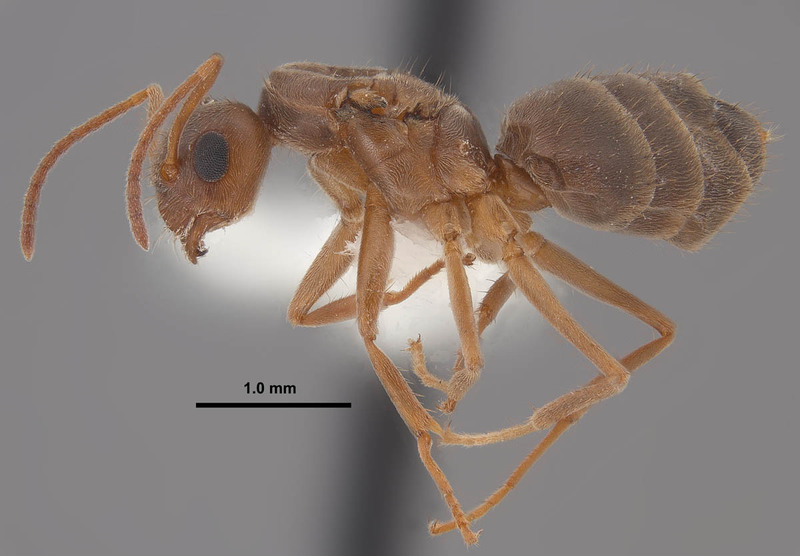 Texas A&M Agrilife research Extension fact sheet: Tawny (Rasberry) Crazy Ant, Nylanderia fulva. On--line posting (http://urbanentomology.tamu.edu/ants/rasberry.html). Accessed 2 March 2015. Bolton. B, G. Alpert, P. S. Ward, P. Naskrecki. 2007. [CD-ROM] Bolton's Catalogue of the Ants of the World. Harvard University Press. Calibeo, D. and F. Oi. 2011. 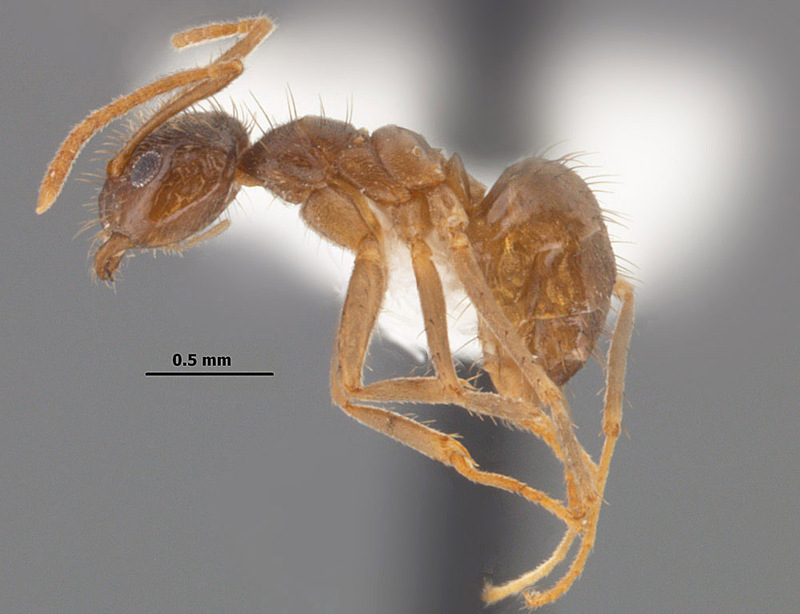 Caribbean crazy ants: A new pest in the Southeast [pp. 11-12]. In: Harmon, C. L., S. D. Stocks, and A. Hodges. First Detector Network News. 6 (9): 1-12. Carlton, C. 2014. LSU Ag Center.com: Crazy Ants, the Tawny Crazy Ant in Louisiana. On-line posting (http://www.lsuagcenter.com/en/environment/insects/ants/pest_ants/crazy_ants/thetawnycrazyantinlouisiana.htm). Accessed 2 March 2015. Carlton, C. and V. Bayless. 2013. Louisiana State Arthropod Museum: The hairy crazy ant in Louisiana. Online: http://lsuinsects.org/research/hairycrazyant/hairycrazyant.html. Accessed on 25 November 2013. Creighton, W. S. 1950. The Ants of North America. Bulletin: Museum of Comparative Zoology 104: 1-585. Deyrup M, Davis L., Cover S. 2000. Exotic ants of Florida. Transactions of the American Entomological Society 126: 293-326. Drees, B. M. 2009. Rasberry crazy ant – a new threat to nurseries. American Nurseryman. November 2009: 6-8. Emery, C. 1925. Hymenoptera. Fam. Formicidae. Subfam. Formicinae. Genera Insectorum 183: 1-302. Forel, A. 1908. Fourmis de Costa-Rica récoltées par M. Paul Biolley. Bulletin de la Société Vaudoise des Sciences Naturelles 44: 35-72. Gold, R. 2011. Rasberry Crazy Ant, Nylanderia sp. nr. pubens. Texas A&M University, Center for Urban and Structural Entomology. 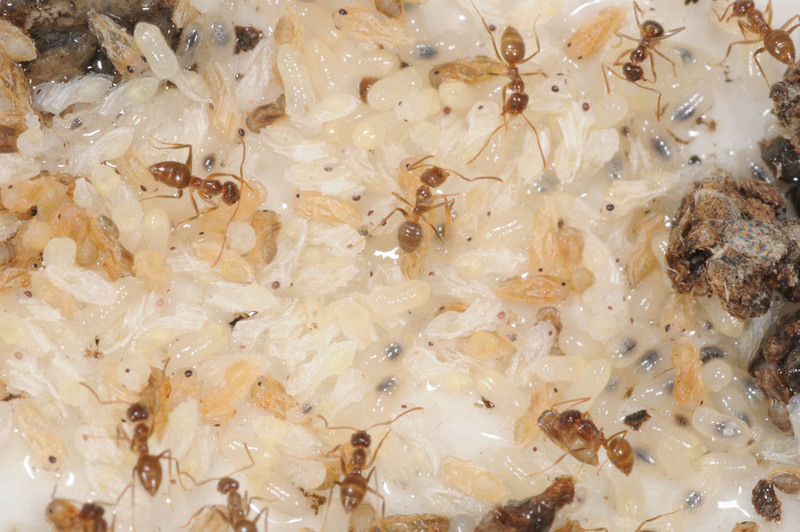 Available online at: http://urbanentomology.tamu.edu/ants/exotic_tx.cfm (Accessed on 21 September 2011). Harmon, K. 2009. Honeybees Face New Threat in Texas: "Crazy" ants. On-line posting (http://www.scientificamerican.com/blog/post.cfm?id=honeybees-face-new-threat-in-texas-2009-08-07), accessed 3 November 2009. Hill, J. G. 2006. First report of the exotic ant, Pheidole obscurithorax Naves (Hymenoptera: Formicidae), attacking a hatchling chicken. Journal of Entomological Science 41: 397-398. Hooper-Bui, L. M., R. Strecker, X. Chen, D. Aguillard, and A. Miller. 2010. Super colonies of crazy ants in Louisiana. Proceedings of the 2010 Imported Fire Ant and Invasive Ant Conference, Little Rock Arkansas, USA, April 19-22, 2010. pp. 13-16. Kempf, W. W. 1972. Catálogo abreviado das formigas da regia~o Neotropical. Studia Entomologica 15: 3-344. Klotz J. H, Mangold J. R, Vail K. M, Davis, Jr. L.R, Patterson R. S. 1995. 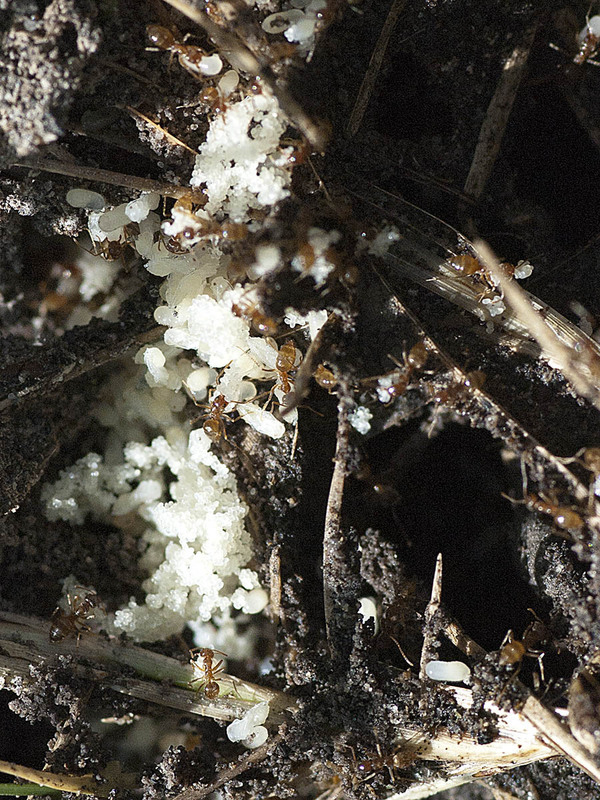 A survey of the urban pest ants (Hymenoptera: Formicidae) of peninsular Florida. Florida Entomologist 78: 109-118. LeBrun, E. G., J. Abbott, and L. E. Gilbert. 2013. 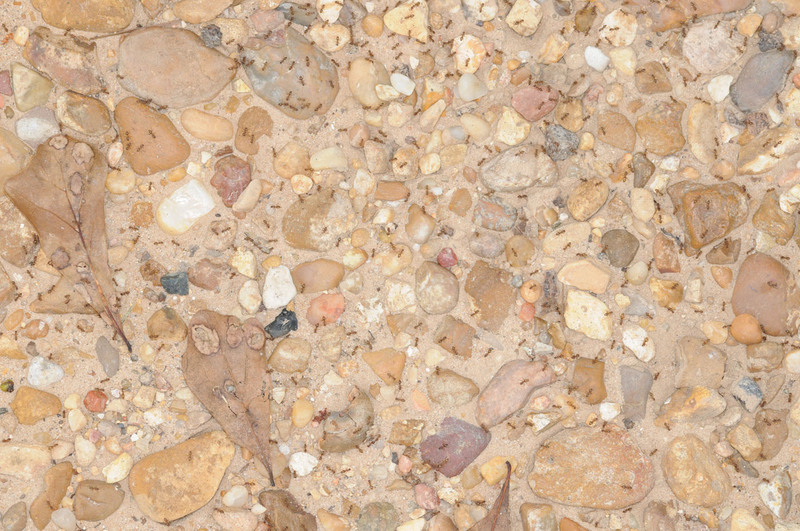 Imported crazy ant displaces imported fire ant, reduces and homogenizes grassland ant and arthropod assemblages. Biological Invasions 15: 2429-2442. Lapolla, J. S., S. G. Brady, and S. O. Shattuck. 2010. 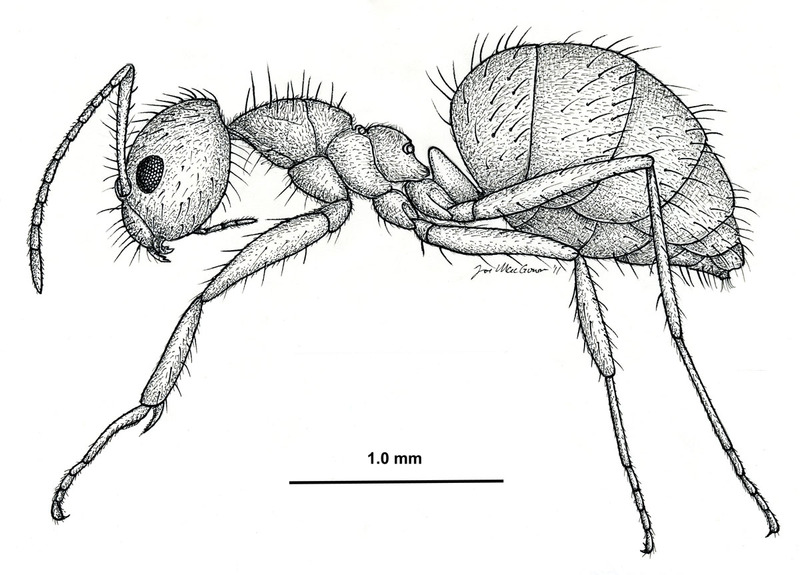 Phylogeny and taxonomy of the Prenolepis genus-group of ants (Hymenoptera: Formicidae). Systematic Entomology 35: 118-131. Mayr, G. 1862. Myrmecologische Studien. Verhandlungen der Kaiserlich-Königlichen Zoologisch-Botanischen Gesellschaft in Wien 12: 649-776. Meyers, J. May 2008a. Exotic Texas Ant, Nylanderia sp. nr. pubens. Center for Urban & Structural Entomology, Texas A&M University. http://urbanentomology.tamu.edu/ants/exotic_tx.cfm (accessed 16 May 2008). Meyers, J.M. 2009. Exotic Texas Ant, Paratrechina sp. near pubens. Texas A&M University Fact Sheet. 1-4 pp. Morgan, J. W. 2011. Hairy Crazy Ants Make La. Their New Home. LSU AgCenter.com Headline News. Available online at: http://www.lsuagcenter.com/en/communications/news/headline_news/Hairy-crazy-ants-make-La-their-new-home.htm (Accessed on. 22 Sept. 2011). Pagad, S. 2011. 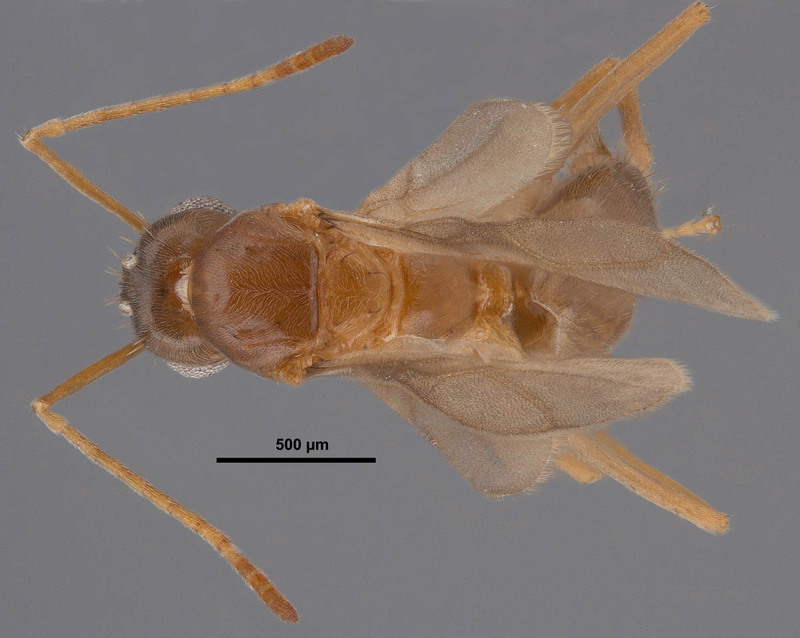 Global Invasive Species Database: Nylanderia (=Paratrechina) pubens (insect). Available online at: http://issg.org/database/species/ecology.asp?si=1553&fr=1&sts=&lang=EN. (Accessed on 28 Sept. 2011). Ring, D. 2014. Update on Tawny Crazy Ants in Louisiana. 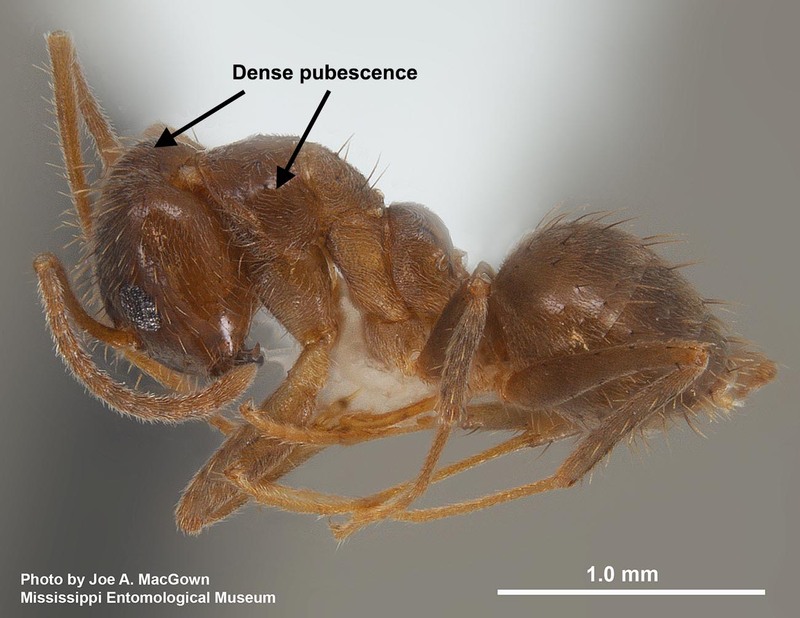 On-line posting (https://medium.com/@LSUEnt/update-on-tawny-crazy-ants-in-louisiana-august-2014-e2f94ed76a0). Assessed 2 March 2015. Snelling, R. R. and J. H. Hunt. 1975. The ants of Chile (Hymenoptera: Formicidae). Revista Chilena de Entomología 9: 63-129. Trager, J. C. 1984. 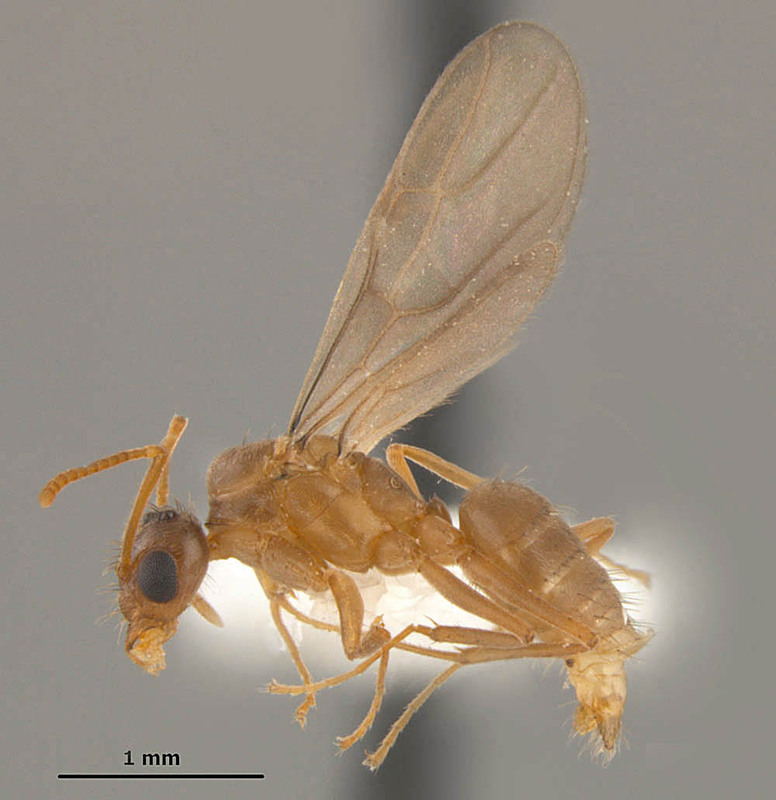 A revision of the genus Nylanderia (Hymenoptera: Formicidae) of the continental United States. Sociobiology 9: 49-162. Warner, J. and R. H. Scheffrahn. 2004. Featured Creatures: Caribbean crazy ant, Nylanderia pubens (Forel) (Hymenoptera: Formicidae: Formicinae). University of Florida Institute of Food and Agricultural Sciences. 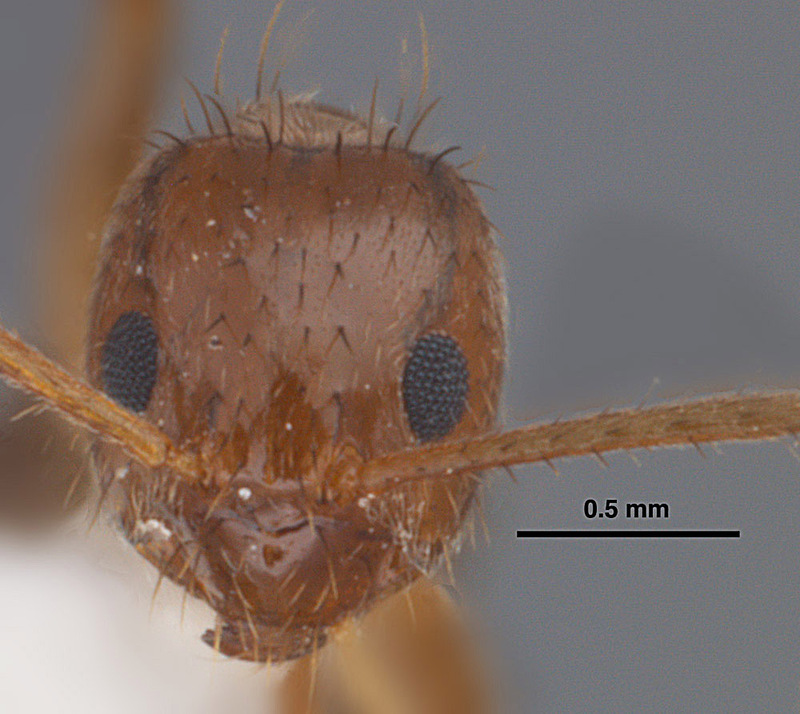 http://creatures.ifas.ufl.edu/urban/ants/caribbean_crazy_ant.htm (Accessed on 16 May 2008). Wetterer, J. K. and J. L. W. Keularts. 2008. Population explosion of the hairy crazy ant, Paratrechina pubens (Hymenoptera: Formicidae), on St. Croix, US Virgin Islands. Fla. Entomol. 91: 423-427. Wild, A. L. 2007. 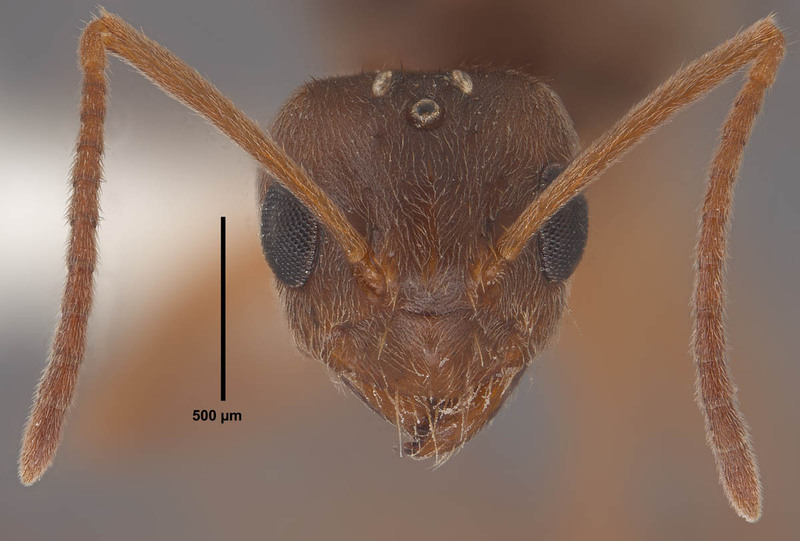 A catalogue of the ants of Paraguay (Hymenoptera: Formicidae). Zootaxa 1622: 1-55. Zhao, L., J. Chen, W. Jones, and D. Oi. 2012. 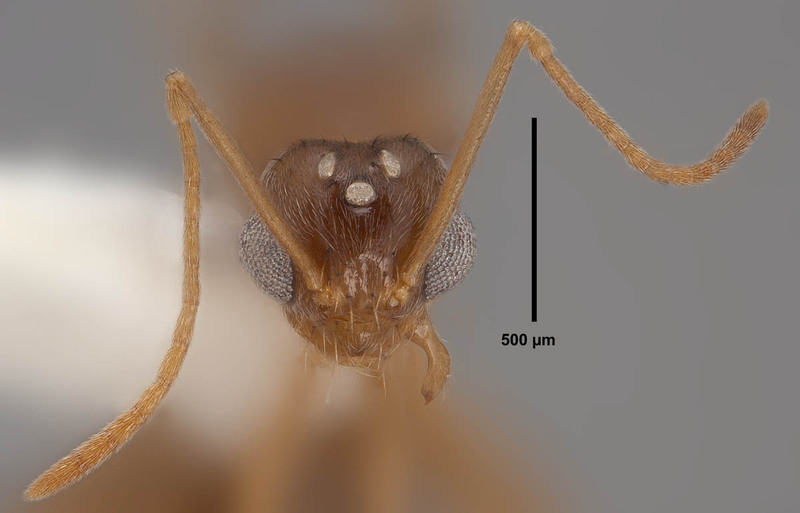 Molecular comparisons suggest Caribbean crazy ant from Florida and Rasberry crazy ant from Texas (Hymenoptera: Formicidae: Nylanderia) are the same species. Environmental Entomology. Accepted for publication. [online summary and abstract available online: http://www.ars.usda.gov/research/publications/publications.htm?seq_no_115=272968]. A video of tawny crazy ants from Hancock County, MS, taken in the fall of 2009. A short video of tawny crazy ants that shows their frenetic nature.